1) Adana Kebab Sandwich at Sultan Kebab. Our standard order at this Turkish restaurant tucked into a strip mall at Route 29 and Rio Road is the outstanding Doner Kebab sandwich. But, sometimes we branch out. The Adana Kebab sandwich, it turns out, gives the Doner Kebab a run for its money. Named for the Turkish city Adana, Sultan Kebab’s version uses minced beef instead of the more traditional lamb, but the seasonings are spot on. Paprika, red pepper, and sumac. 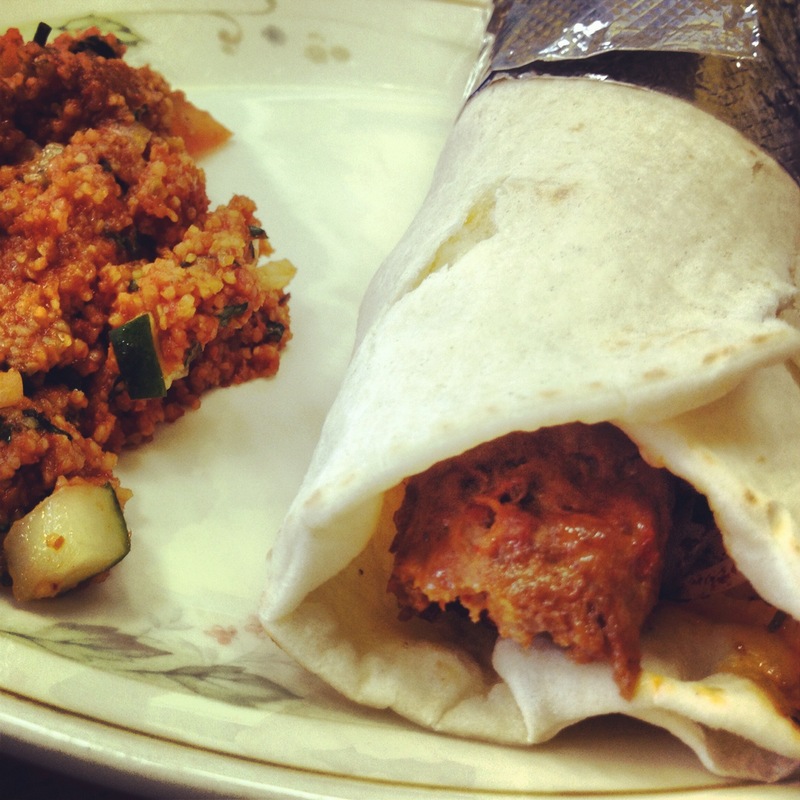 Because minced meat kebabs are typically cooked through, they require close attention to timing and temperature to prevent the meat from drying out. Sultan Kebab nails it. Rolled up with lettuce, tomato, and onion into soft pita bread, it makes a perfect lunch. 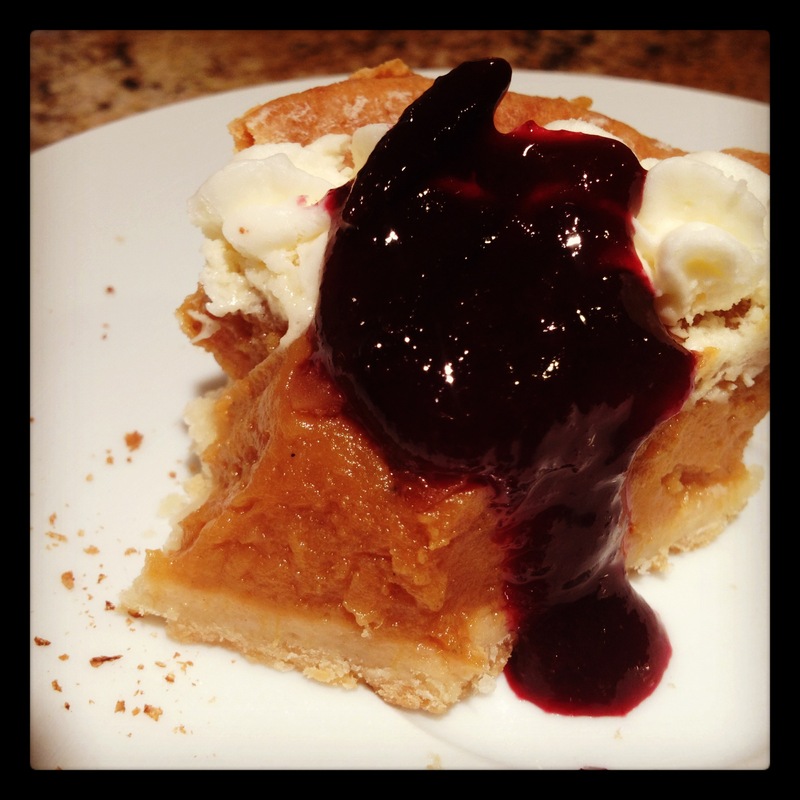 2) Sweet Potato Pie from Paradox Pastry with Damson Jam from Jam According to Daniel. Among our favorite types of Charlottesville food finds are discoveries of great combinations of local food items that are already excellent on their own. One example we’ve mentioned before is what we call “Country Confit,” or minced chilled pulled pork from BBQ Exchange with a side of Jalapeno Jelly from Planet Earth Diversified. A more recent discovery was the brainchild of Daniel Perry of Jam According to Daniel. He suggested his Damson jam as a topping for something like pumpkin pie. We tried it with sweet potato pie from Paradox Pastry, and wow, are we glad we did. The pie is very good on its own. Drizzled with the damson jam, it is almost laughably good.